that means Ive opened a lot of SV bags. and Im sure some of you have spilled that on your counter , hopefully not w the 1/4 cup of oil to top the mess up. I have a double sink . deep and very very deep. so deepI wondered why I put it in. of this deep deep sink. How set were the whites? I here slimy whites. over all , leaving editing aside , looks like a simple method worth a try. They looked good. I love the idea, poaching eggs is unreliable in my hands. Id like to try this w a doz or so eggs. for every day AM eating. I saw the AtK episode a few weeks back. Since it's from the current season, you can see the video online at their website. Although despite what they claim in the video, this isn't a new technique. 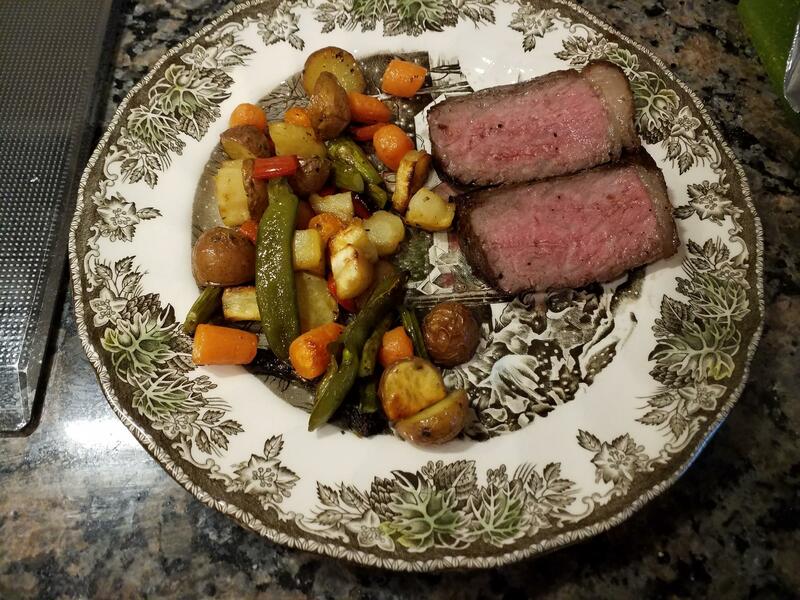 Chefsteps has a similar recipe up on their site which appears to be at least five years old, and they mention on that page that others have also come up with the same time and temp guidelines. Although I've had the Joule for almost 8 months now, I have somehow yet to use it for eggs. I'll have to rectify that soon and try this. 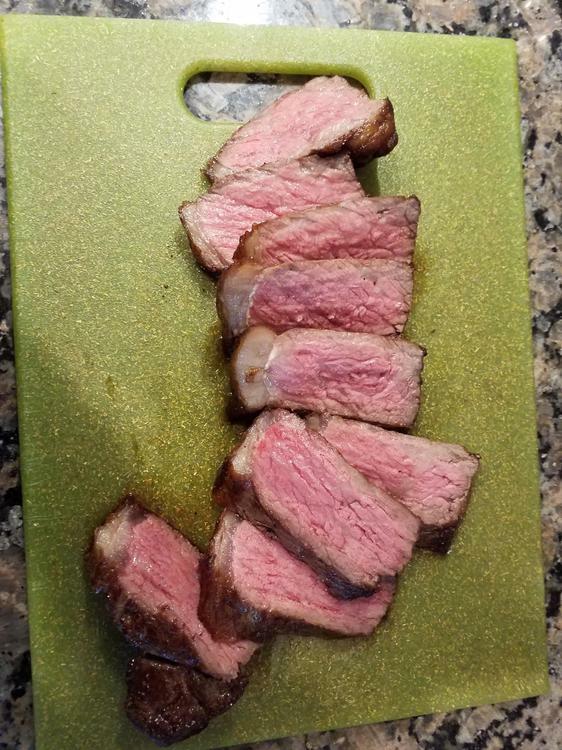 This is what I got after 12 minutes at 167F. The whites were still runny and a lot of the white was left in the shell. Tried some more at 170, and 172. At 170 the whites were a bit firmer. At 172 only the yolk popped out and not surprisingly, was overcooked. I also tried one out of it's shell in a zip lock, after 8 minutes at 172 the whites were runny and the yolk was almost hard. I am trying one more for 15 minutes atc167F. 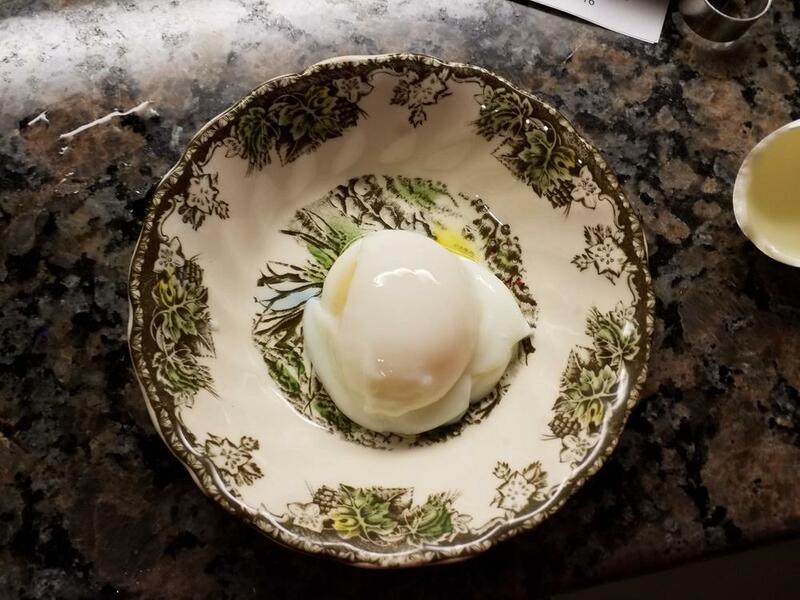 I had done cold large eggs (Costco) at 167F (Joule) for 13 minutes and got results of what *I* would deem acceptable as a traditional poached egg texture. YMMV due to personal taste. 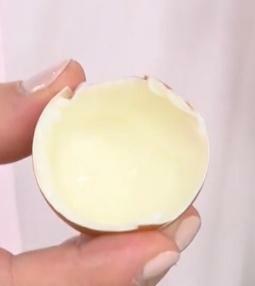 Whites will stick to the shell in a layer when cracked. I didn't take any pictures though. I also use a silicone net bag to hold the eggs in the water. This is the 167F egg for 15 minutes. Whites were fine, yolk a bit too jammy. I am going to try @lemniscate's time and see what happens. Back in 15. ATK did say that the white that would be in the poaching water would be stuck to the shell. How they know this? Last one - 13 minutes at 167F. It had the best shape and the least white left in the shell. The yolk was nice and runny. But the underneath part still had some, though not a lot of what I call slimy white. It was the best one of the bunch. I still have quite a few eggs so am going to read up on Serious Eats and Chef Steps and practice some more this week. The "slimy" white as you call it is just the watery part of the egg white. If you look closely at an egg (say, crack one onto a plate) you'll notice a "firm" bit of white, and you'll notice a runny, watery bit of white that easily separates itself from the rest of the egg. This is the part (in an otherwise normal egg) that "feathers" in a traditional poach...in other words, its the bit that clouds and collects in your poaching pot. Anyone who has ever poached more than a couple eggs at a time knows what I'm talking about. The best thing to do is to use a large perforated spoon to drain this part of the egg off. 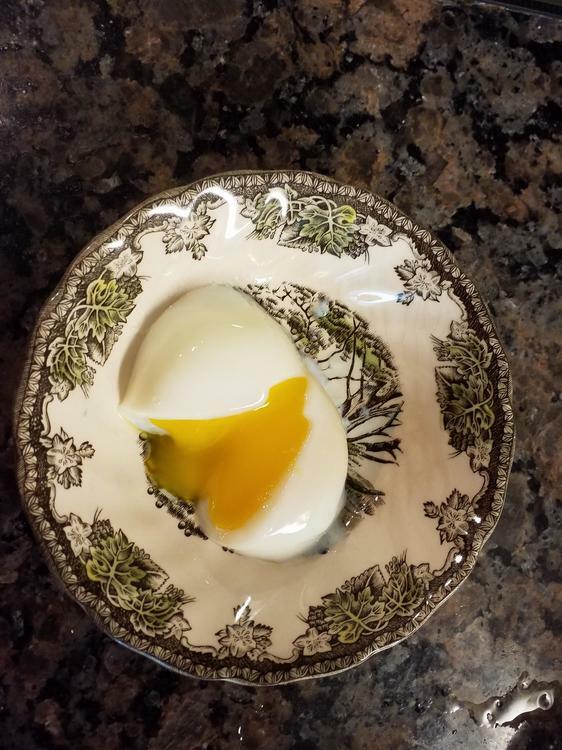 I crack my sous vide eggs directly onto a slotted or perforated spoon, usually set over a paper towel, and let that watery egg bit slip off. You may need to tilt the spoon a bit. I assure you it is fully cooked it just looks weird. It is 100% normal and, unless you go to full hard boil stage, unlikely to go away completely. @Qwerty Thank you. 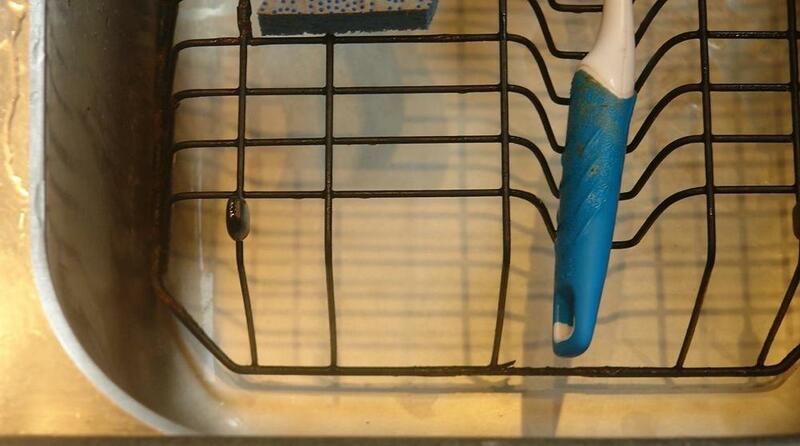 You know, that perforated spoon treatment is something I do before putting eggs to poach directly in water. Never thought of it here. Good idea. Now....if one were, as @rotuts suggested, cook a dozen or so of these for retherming later, what method, time and temp would one use? 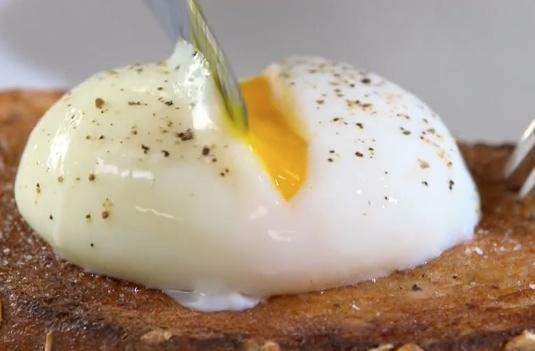 I could see doing this IF I could retherm in say, two minutes in a saucepan of simmering water, or steam-bake in the CSO, but I'm not inclined to drag out the Anova every time I want a poached/softboiled egg on toast. w the last step in the AM mindless , but with a delicious result. Ill have to try that again. nor why should they ? perfect is after some editing Id guess . still tasty ! Last one - 13 minutes at 167F. It had the best shape and the least white left in the shell. The yolk was nice and runny. But the underneath part still had some, though not a lot of what I call slimy white. 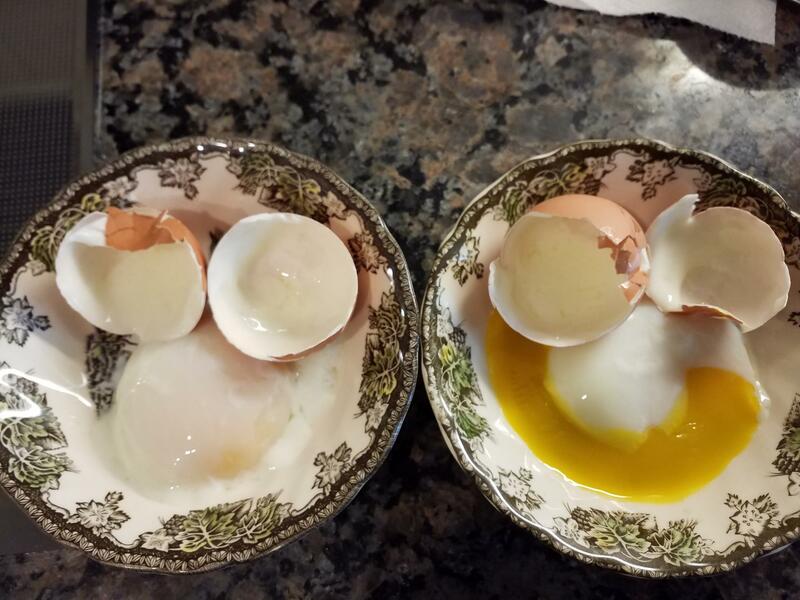 In the chefsteps comments, someone noted that 13 min 30 sec was the sweet spot for the set whites (no residue) vs. luscious yolk at 167F. Heston has a method of poaching eggs in his "How to cook like Heston" series where he places the eggs in water that has boiled but the heat has turned off and the temperature is monitored and the egg is added at ~72C (I think its been a while). It works a treat but the really interesting bit in his process is the same as @Qwerty says. Its a while since I viewed the Heston video, but I am pretty sure he says that the amount water (which is the runny stuff) is determined by how old the egg is. I think he says that the water is a result of the "aging" process of the protein (white), where it actually starts to dehydrate. Also the "air sack" increases in size with time. Certainly freshly laid eggs produce a lot less water than store bought eggs. I don't think it has anything to do with free range or cage eggs, its a matter of how long the egg stayed on the store shelf & how long it stayed in your fridge. You cant get rid of the water unless you break the egg. 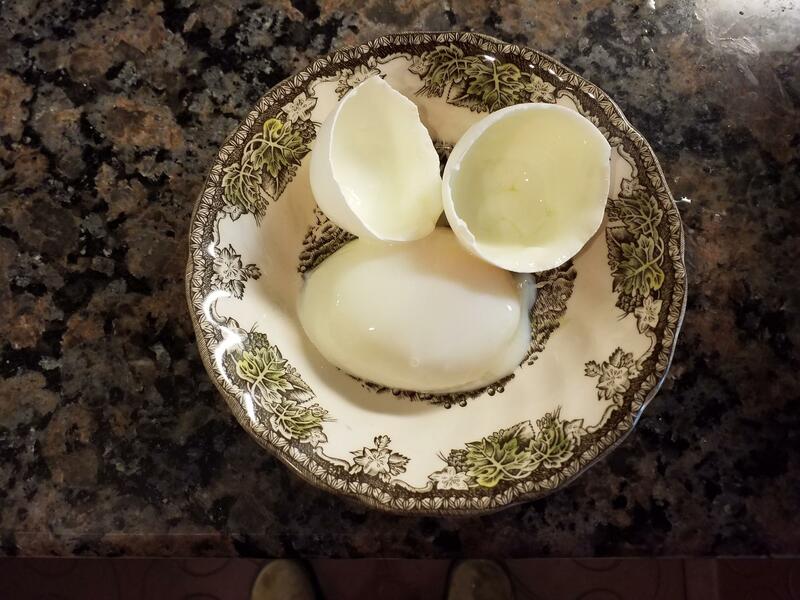 Perhaps you could brine the egg and let osmosis move the water from inside the egg to the brine, but the time in the brine would be dependent on how fresh the egg was, and not sure what else it would extract. Thanks, @rotuts That's simple enough to accomplish when you're stumbling about the kitchen half-asleep, which is my aim. I used the ChefSteps / AtK method to make poached eggs today and posted the results on the Lunch thread. The yolks were slightly more set than ideal, but that may have been due to the length of time it took for me to plate the dish, as well as putting the eggs atop hot polenta. The whites were perfect, although as expected the loose white remained in the shell. @rotuts what time and temperature did you use for your eggs?